the first snow fall that sticks! it's so exciting! 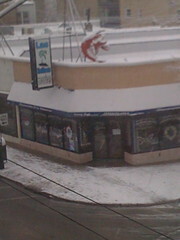 the shrimp on the seafood restaurant across the street looks cold, though.